Alcoholic hepatitis is liver inflammation caused by the consumption of alcohol. It is most likely to occur in those who drink excessively over a period of many years, but may also occur in moderate drinkers. "Moderate" is defined as more than one drink per day for women and more than two drinks per day for men. Heavy drinkers are almost always malnourished due to loss of appetite, malnourishment is a factor contributing to alcoholic hepatitis. Alcoholic hepatitis can lead to serious liver damage, cirrhosis and even death. Continued consumption of alcohol increases the risks associated with liver damage. The liver is responsible for breaking down toxins that enter the body. When the liver breaks down ethanol, the toxin found in alcohol, other highly toxic chemicals, such as acetaldehyde, are produced. These toxins damage the liver and create scarring. Over time, the liver can develop many scars. This condition is called cirrhosis. Risks for developing alcoholic hepatitis increase with the amount of alcohol consumed coupled with the duration of consumption. Not all heavy drinkers will develop alcoholic hepatitis. Other factors such as gender, ethnicity, genes, other viral infections, and nutritional health also contribute to the overall risk of developing alcoholic hepatitis. Developing alcoholic hepatitis is more likely in those who have another form of the hepatitis virus, especially hepatitis C. Cirrhosis is also more likely to develop in patients with hepatitis C.
Many people who drink heavily are malnourished. An inadequate diet or malabsorption issues can prevent the proper absorption of nutrients and protein, which consequently leads to cell damage in the liver. Obesity can also negatively affect liver cells. Genetic factors and mutations in certain genes that affect alcohol metabolism can increase the risk of alcoholic hepatitis and alcohol-associated cancers. Women are more likely to suffer from alcoholic hepatitis than men. Women who continue to drink after a diagnosis of alcoholic liver disease have only a 30% survival rate, as compared to 70% in men. Those of African or Hispanic descent have an increased risk of developing alcoholic hepatitis. 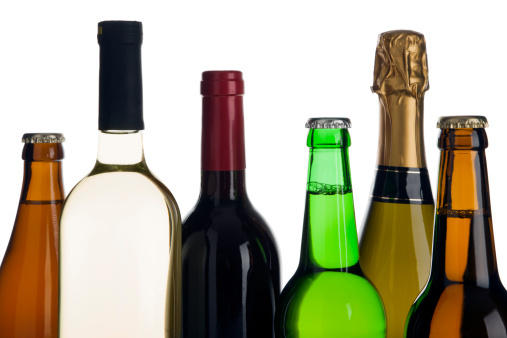 Doctors will inquire about the patient's history of alcohol use and look for the presence of physical symptoms, such as multiple spider angiomas. Liver function tests assessing total bilirubin, albumin, and international normalized ratio, a complete blood count test, diagnostic imaging tests such as an Ultrasound, a CT scan, MRI, and a liver scan, and other blood tests may be performed. The only way to prevent alcoholic hepatitis is to avoid alcohol. If a diagnosis of alcoholic hepatitis has been made, it is imperative that the patient stop drinking alcohol completely. For those who are dependent on alcohol, a doctor may advise a special course of treatment possibly including medication, inpatient or outpatient treatment, therapy, or support groups. Efforts to support vitamin and mineral needs through proper nutrition are advised. If the patient is unable to eat, tube feeding may be necessary. In certain severe cases, a liver transplant is the only way to avoid liver failure. Often, transplantation is not an option for those suffering from alcoholic hepatitis. Many clinics will not recommend a transplant for patients with alcohol-induced liver damage out of concern that they might return to drinking after the transplant. Alternative therapies are used to help patients suffering from alcoholic hepatitis. Two notable supplements used in liver treatment are milk thistle and SAM-e. One should always speak with a doctor before starting a new treatment, including natural or herbal supplementation. Approximately 2 million people in the U.S. alone suffer from alcoholic hepatitis. As many as 35% of heavy drinkers will develop alcoholic hepatitis, and more than one-third will die within 6 months after the appearance of symptoms.